The basic need of any instrumentalist is a focus on tone. My method to teaching any student is that tone is the primary asset. Following tone comes intonation and then technique. This page is here to show what like to teach from. As far as scales go, I was taught early on that scales should be learned in full range, meaning from the lowest playable note to the highest playable note. This ideology can be discussed further in private lessons. Flute: I am currently working on flute myself as it needs the most work in my own opinion. A good book to start out with, that can actually take a student a long way, is the Foundation to Flute Playing by Wagner. 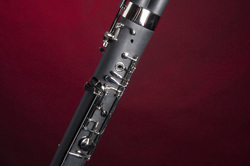 Piccolo: Even though this may at first glance appear to just be a small flute, it is indeed a beast on its own. 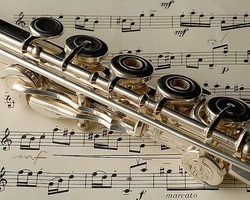 Tone and intonation are harder to control than on flute but can be very rewarding as it is less commonly seen. 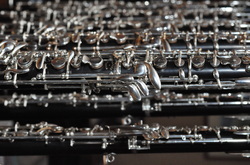 Oboe: I have played quite a bit of oboe and its larger counterpart. Beginning oboists, I believe, should start with the Niemann and eventually get to Ferling Etudes. English Horn: This is sort of a larger oboe using mostly similar fingerings, but requires more air and control. Similarly to the piccolo mentioned above, this instrument can be harder to master but is definitely needed and uncommon. Clarinet family: All students wishing to play any clarinet should start on B-flat clarinet whether they wish to play that or bass or any other size (the only exception being students whose fingers are too small to make the reach of B-flat, in which case they could start on E-flat clarinet), all of which I have played in a variety of ensembles and musicals. No matter where a student wishes to end up, they should start with the Klose and work Rose etudes. 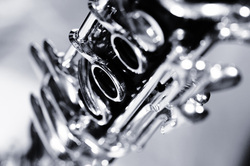 Low Clarinets: alto, bass, contra-Alto, and contrabass Clarinets all have one half step lower than regular B-flat clarinet and many professional models go even lower than those. These will still require work on the same etudes as clarinet and the same style of scales but adapted for the extended range. Check here for scale studies applicable for these. Bassoon: This was the second wind instrument I personally picked up and is now my biggest selling point. Bassoon is not usually a starting point for a young musician as it does require a larger hand than most elementary students have, but is definitely in demand. For those who are starting out, I highly recommend the New Weissenborn book (the old Weissenborn is fine too). Contrabassoon, also known as the Double Bassoon, is just that, twice the size of a bassoon sounding an octave lower. This beast definitely requires vast experience on bassoon and large hands for the wide spread keys. I am still looking for a good method book for this. 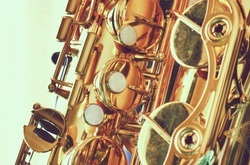 Saxophone family: Many students will want to play saxophone due to its prominence in pop culture and jazz. I started my career here as well and would be happy to get students going. A decent place to start would be with the Universal Method. This will push towards Ferling Etudes. Select any other instruments you may want to learn more about or try.